JIPMER 2019 Result – Jawaharlal Institute of Post-Graduation in Medical and Research is conducting JIPMER 2019 on June 02, 2019. 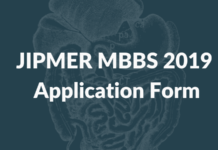 It is expected that the Institute shall announce the result for JIPMER MBBS 2019 entrance exam on or before June 21, 2019. The admission will be offered by JIPMER Kalaikar and JIPMER Puducherry campuses. JIPMER 2019 Result will be available at its official website that is jipmer.edu.in. Candidates who will appear in the JIPMER 2019 exam can check their Result through Online mode only. The JIPMER 2019 Result contains the List of candidates those who are qualified in the exam. 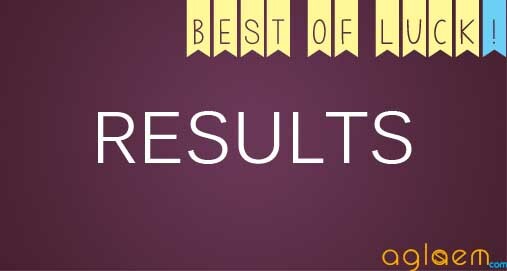 To gain more detailed information about the JIPMER 2019 Result candidates must read this article. As mentioned above qualified candidates can check their JIPMER 2019 Result through the official website. Dates of Examination and Result is yet to be announced. Aspirants can check the link below for more information. Candidates can check the tentative dates from the schedule below. How to Check JIPMER 2019 Result? Firstly, to check the result candidates must visit the website jipmer.puducherry.gov.in. Enter your Roll No. and Name. Check your Sectional and Overall Percentile. Check whether you are eligible or not. JIPMER 2019 result will be accessible through online mode only, as mentioned above. Merit List for JIPMER 2019 will be determined on the basis of the following ways. In case of Single shift, overall merit will be carried out by the Percentile. In case of Two shifts, overall merit will be carried out by merging the percentiles of both the shifts (First and Second). If candidates secure less than the above mentioned minimum percentile in the entrance examination will not be considered for admissions and their names will not be appear in Merit List. NRI/OCI Candidates who opted for admission under self financing scheme at the time of application only those will be considered to be mentioned in Merit List. Counselling session will be conducted through Offline Mode only. Candidates must know some important things regarding counselling that are mentioned below. Selected candidates have to report at the alloted venue, date and time to participate in the counselling. Bio metric finger prints and image verifications of the candidate will be done on the day of counselling. In case of mis match candidate will be rejected or disqualified from the admission process. The process will be conducted through diffrent rounds as per the availability of seats. If the candidate has opted in the first round then he/she can pay for the further admission on the same day. In case if the candidate is not opted out for the first round then he/she is eligible for the next counselling round.